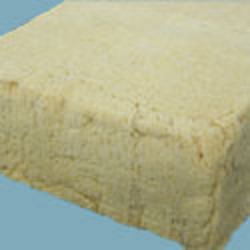 Our company has achieved widespread recognition in providing De-Vulcanised Latex Rubber. Footwear and for deep coloured rubber products. Natural latex rubber tubing has been given many names. Some people call it surgical tubing, exercise or fitness tube, gum rubber tubing, and dipped tubing as well as speargun bands and slingshot bands. Others may simply refer to it as "stretchy tubing". Natural Latex Rubber Tubing made by Delta Rubbers "Continuous Dip Process"
This Liquid Rubber Latex is highly resilient and can be used in various chemical industries. Latex Rubber is the most basic polymer material produced today and it is still used in most applications because of its strength and low cost. Recently, many groups have started to use synthetic rubber polymer substitutes, of the frequency of human allergic reactions to natural latex. 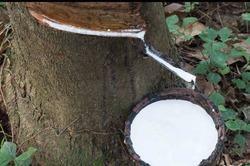 Latex rubber is a milky white liquid consisting of minute rubber particles derived from the rubber plant. It is whipped into foam, electronically weighed, then automatically dispensed into a mold by a robot. Aluminum core pins transfer curing heat into the foam. As a result, thousands of "pin-core" air-channels enable natural ventilation of the final product.